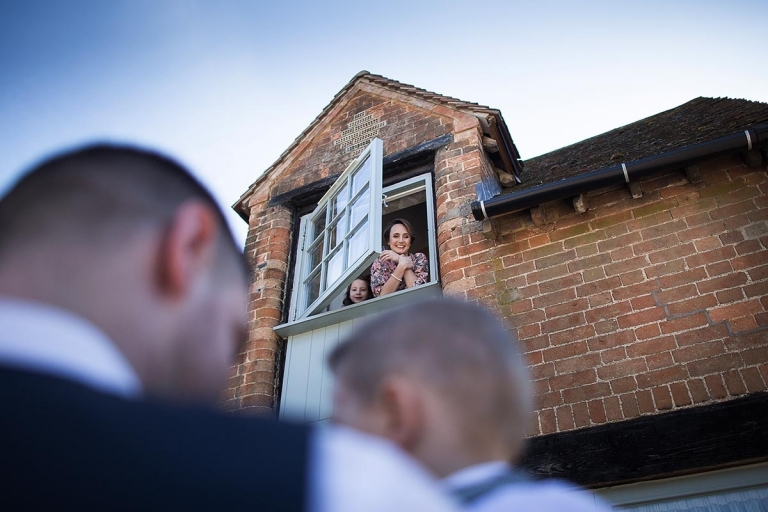 Claire and Jon’s spring wedding was at the lovely Bassmead Manor Barns near St. Neots in Cambridgeshire, about a 30 minute drive for me from Higham Ferrers. As a wedding photographer I often rate venues on how well they look after me, Bassmead Manor Barns scored full points for this with some of the best wedding food I’ve had, you’d be surprised how many venues have a problem serving photographers the dinner paid for by the couple, no issues here though and I was really well looked after – Thank you Bassmead Manor Barns, it was very much appreciated! 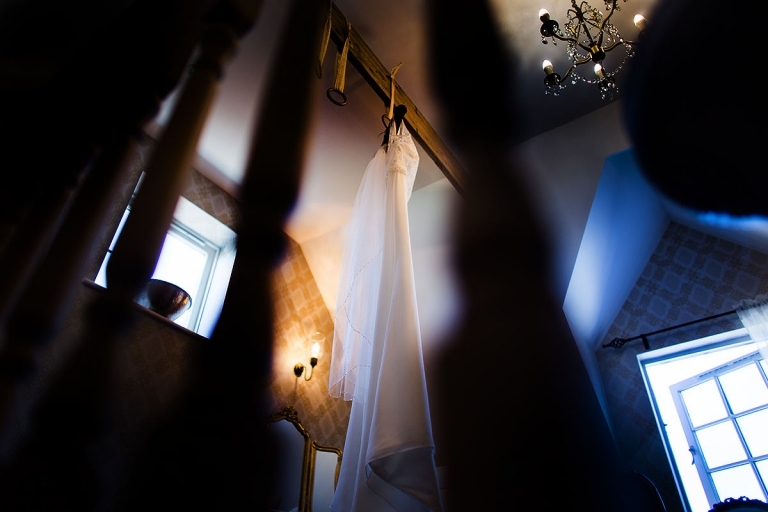 I arrived to photograph Claire getting ready in the beautifully decorated bridal boudoir, just a short walk from the ceremony in the Rickety Barn, while guests started to gather. 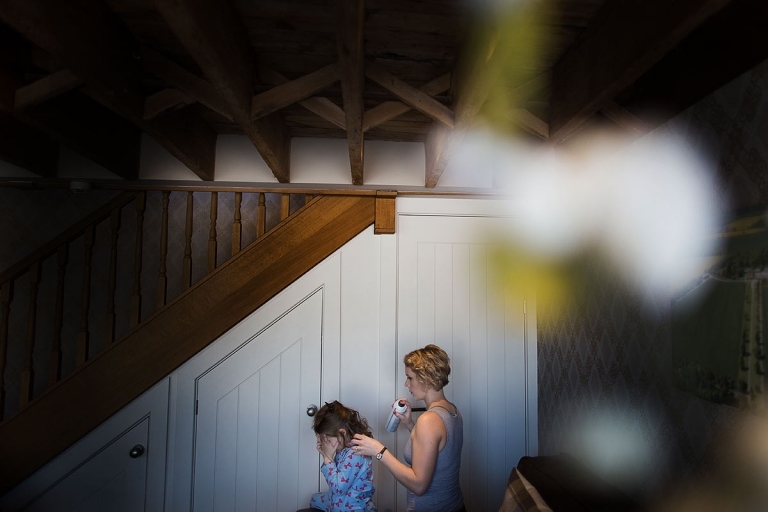 There was a special moment when Claire came down the stairs to see her dad for the first time as a bride, this is always a lovely and emotional time to capture. After the wedding ceremony guests gathered in the courtyard to through confetti before the drinks reception in brilliant sunshine, amazing for a March wedding! I go to a lot of barns for wedding photography, I have to say this is one of the nicest I’ve seen in the country. These are just a preview of the photographs I took at Bassmead Manor Barns. Claire and Jon received over 400 images. 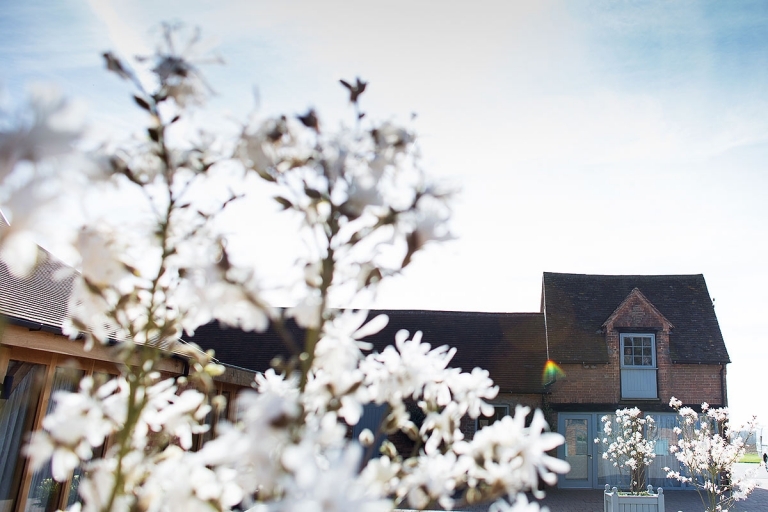 If you’re planning a wedding at Bassmead Manor Barns please get in touch and I can show you some more.